In November of this year, I will be co-facilitating a workshop with Convenor Uma Jain and co-facilitator Heather Berthoud, entitled, Single Women Across the Globe, in Jaipur, India. 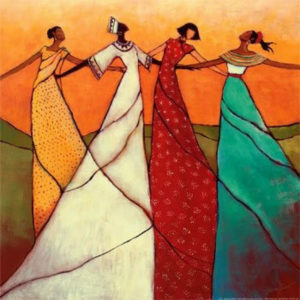 Our hope is to gather together single women (any women who have been single for a significant part of their lives, even if not single currently) from across the globe to create a community for learning, growth and empowerment. As women who live\have lived outside what is considered the dominant narrative, it can feel as if we are isolated from those who live more “traditional” lifestyles. We see this workshop as a means to reflect on our own life journeys, learn from the experiences of others and create a desired future with a network of support around the world. In addition to moving each of our individual growth journeys forward, we hope to document our journeys so as to disseminate our learning. More details about the workshop are available in the attached brochure. Early bird rates apply until July 31, so take advantage of them now. Your registration covers accommodations and all meals. In this first non-profit workshop of its kind, we are charging only for the costs of hotel and meals in the registration fee. Rather, we are interested in what we can learn with and from us being together. Be sure to check out the brochure for details about the workshop and location. Mark your calendars and REGISTER NOW! Even if you can’t join us, please share this information with those who can. To single women: I’d love to have you join us! To others: I would be grateful for your support in making the brochure available to women in your network who might be interested.